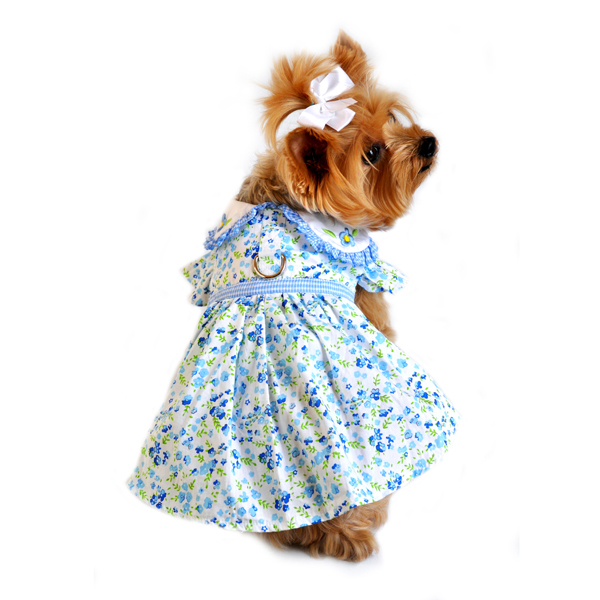 Flowers will come to life around around pup in this Blue Belle Floral Dog Dress by Doggie Design! 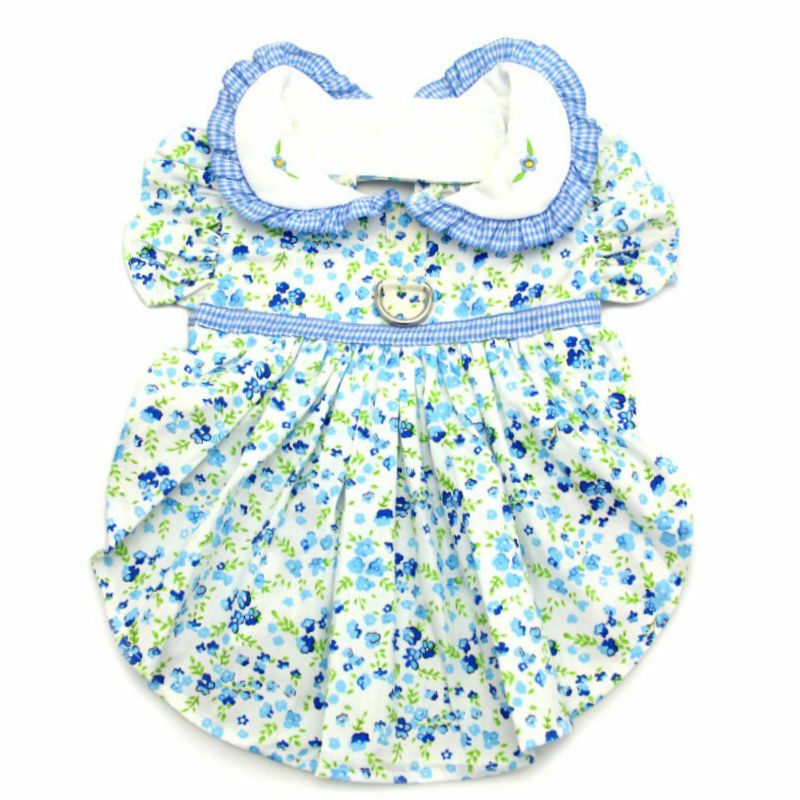 Spring is in the air with this Blue Belle Floral Dog Dress by Doggie Design! 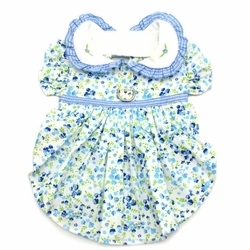 Features blue and white floralprint with a blue gingham trim. The sweetheart collar has embroidered flowers. Comes with a re-enforced D-ring for easy leash attachment. • X-Small: Chest 10-12" Neck 7-10" - Pets weighting 3-5lbs. • Small: Chest 13-16" Neck 10-13" - Pets weighting 6-10lbs. • Medium: Chest 16-19" Neck 13-16" - Pets weighting 11-15lbs. • Large: Chest 19-21" Neck 16-19" - Pets weighting 16-32lbs.